James is a Chartered Psychologist, an Associate Fellow of the British Psychological Society and a Registered Coaching Psychologist. He has an impressive track record in organisational consulting, specialising in the talent management space. An accomplished coach and assessment expert, James brings a professionalism and objectivity to his assessment practice, helping organisations better understand their employees’ strengths, development needs and potentials. 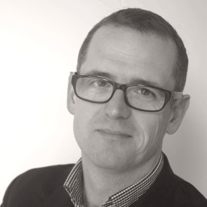 James has a significant amount of experience as a practitioner psychologist. He previously led Talent Q’s consultancy team, growing it in size, expertise and impact. He as a deep understanding of how to assess talent objectively and fairly, bringing welcome rigour to processes such as executive assessment and identification of high potential candidates for clients. In 2014 he was shortlisted for the prestigious Practitioner of the Year award by the British Psychological Society’s Division of Occupational Psychology. Acceptance and Commitment Therapy, University of Birmingham.